Each year, Tutnall Hall’s owner Kamal Khan and the residents set a theme for members of Pam’s Art Class in Alvechurch, with the winning piece to be displayed in the home. This year’s winner was Dawn McKee, with a Mozart-inspired painting. All entries were displayed the following weekend in Alvechurch Village Hall. 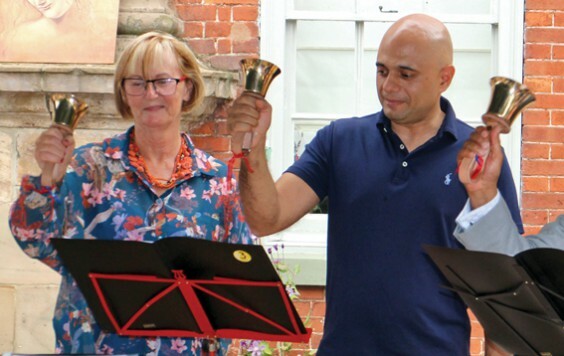 The fete also featured stalls, refreshments and games, plus performances from Vintage Class Singers, Cast Off Appalachian dancers, and Chaddesley Corbett Handbell Ringers – who convinced Sajid to have a go (above).